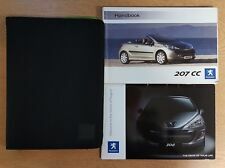 PEUGEOT 207 OWNERS HANDBOOK-MANUAL. COVERS 3/5 DOOR & SW MODELS. COVERS 3/5 DOOR MODELS & AN OVERVIEW OF ALL MODELS. Suitable For Peugeot Service History Book. Suitable For All Peugeot. This Is A Generic Service Book Suitable For Any Car! This Is An High Quality Full Color Book. Which Is Designed To Cover The Specific Range. Suitable For Peugeot Service History Book. This Is A Generic Service Book Suitable For Any Car! Suitable For All Peugeot. Which Is Designed To Cover The Specific Range. This Is An High Quality Full Color Book. Manufacturer Part Number(s) AN062070030. Peugeot 207 2006-2012 1.4 Petrol 89Bhp. Genuine Peugeot Part. Manufacturer Peugeot. Owners Manual with Wallet. Product Owners Manual with Wallet. 5 Gear Manual ( BVM5 ). PAGES 218. PRINT DATE LATER EDITION 2011. DEISEL 1.6 HDI - 112 BHP. Thank you for viewing our listing. This Item Comes With a Return To Sender Money Back Guarantee If Not Completely Satisfied. 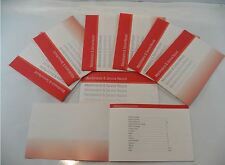 We have for sale One Owners Manual Book pack For The Model Specified In The Item Title. Covers All The Body Styles and Engines as well as Transmissions for this Model. This Is A Used Handbook Pack In good Condition And Is Not A Copy Or A Fake. We only have a The number of this model specific pack advertised, where we have more than one item of the same specification the picture will not be of the actual item in every instance although the content and condition will be identical.. This item comes in the GLOVEBOX WALLET pictured as a handy in car reference pack. Where a Service Book is provided in a handbook pack it is Always a New Blank Replacement without any stamps. 1.4 HDi Diesel. 1.6 HDi Diesel. Genuine Peugeot Owners manual for the 207 from the 2009 until 2014 FACELIFT Commonly found in the vehicles dashboard glovebox, this item provides detailed instructions on all functions and operations of the car. 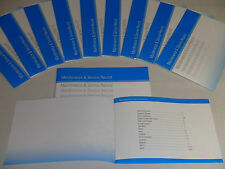 BLANK CAR SERVICE HISTORY & MAINTENANCE BOOKLET. Space for owner and vehicle details.